Matel Rokke first opened Tsuru, her clothing boutique, in August of 2007. She named her business Tsuru, the Japanese word for crane. 10 years later, Rokke is celebrating the changes, challenges and triumphs of having owned her downtown business for a decade. "Retail is always a bit of a roller coaster," Rokke said. "Keeping a close eye on what our customers want as well as staying true to our own vision has kept us on a great path. We try to keep an open mind and I have really started to blend my two worlds a bit more with the store and art. 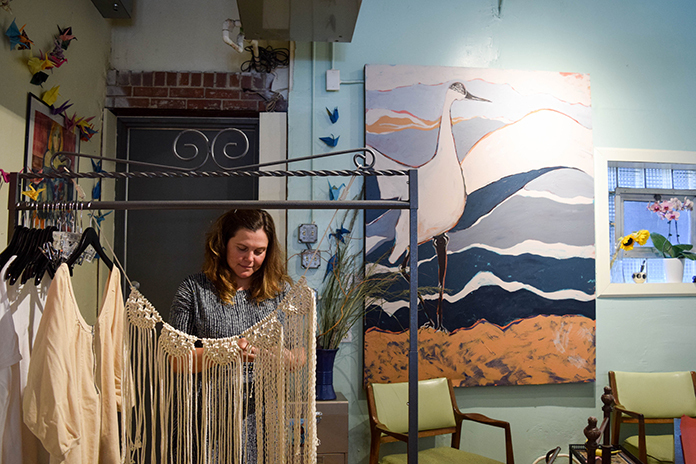 We love creating and have started having classes in-store for macrame. I hope to continue that trend." Tsuru hosted a celebration for its 10-year anniversary on August 17 with a sale and refreshments. Rokke said in addition to celebrating, she's focused on the upcoming autumnal trends for this year. "Fall is always such a festive season in retail," Rokke said. "We have so many exciting new things coming in the store weekly right now, it's like a celebration all the time." Rokke said she's been "working and playing" downtown since she was a child. She boasted of her amazing customers and said she finds inspiration from her community. "I hope to continue growing our customer base of course but would love to continue our growth on the creative side," she said. "There is so much amazing talent in Lincoln and such amazing inspiration. Just on my block there is inspiration everywhere you look." In the years since Tsuru first arrived to downtown, the landscape has changed immensely. Rokke said she's amazed at the changes to the area, and hopes to continually see the growth that accompanies the changes. I have seen it change so dramatically," she said. 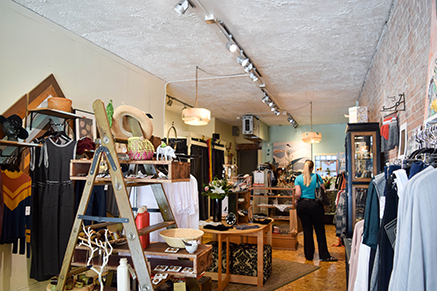 "I am really excited for the future in the area and hope to see Tsuru and other locally owned and operated retail continue to grow."